Jorgenson Industrial Companies has multiple business divisions that are family owned and operated. We have been in business by providing “strong customer service” since 1967. You will find us to be an invaluable resource for lockers, shelving, racking, storage systems, work area, material handling and division 10 specialty products. We are space optimization consultants, storage solution experts and division 10 specialists. We are confident that no matter what your industrial storage needs are we have the right products that are perfectly tailored for your business to operate at optimal levels. We invite you to browse our various divisions to find the ideal lockers or material handling products and support services that are designed to set your business apart from the rest. Our Material Handling Division is an industry leader offering knowledgeable consultation, sales, installation & service for all of your warehousing, storage and organization needs. Our sales and support teams are space and storage maximization experts and facility efficiency optimization consultants. We are here to help you with every solution and we maintain an endless supply of new and used storage products in stock available for immediate shipment. Browse our multiple product divisions and see information on pallet racks, modular drawer cabinets, metal shelving, lockers, storage cabinets, mailboxes, material handling equipment and more. Our locker division has evolved as a global industry leader, serving a broad customer base that includes schools, gyms, government and private businesses. 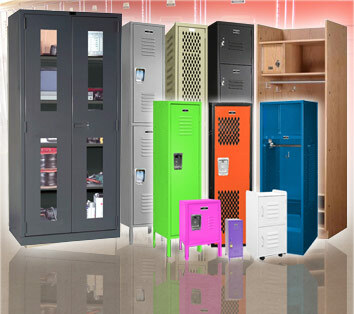 With our comprehensive selection of products you are sure to find the perfect locker, with numerous quick ship options that are ready for immediate shipment. Encompassing a wide range of colors, styles and sizes, our online sites provide the most diversified collections of new and used lockers for sale. For maximum durability, our lockers are professionally designed and manufactured using the latest state-of-the-art techniques. Browse selections of quality grade plastic, wood and metal lockers that provide a lifetime of continuous use. 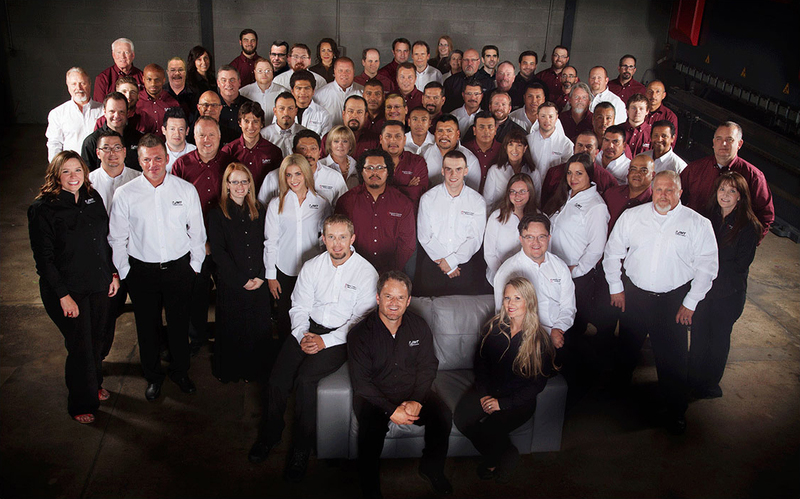 From the very beginning, our company motto has always been “Strong on Customer Service” and this continues to echo throughout our company in every way. Our entire organization is structured to better support and meet the needs of our valued customers. It starts with a full line of quality industrial products supported with a friendly staff of hard working and knowledgable sales consultants, product experts, design engineers and highly skilled support & service staff. We are committed to providing a higher level of customer service & support, a broader selection of product choices and we back up everything we sell with installation services, field service support and a warranty to keep your business running strong. We boast nationwide coverage with offices, fully stocked distribution warehouses, and training & service centers on the East & West Coast. You will find many of our products available for sale with convenient and secure online shopping. INDUSTRY LEADER FOR MATERIAL HANDLING PRODUCTS, DIVISION 10 SPECIALTIES & LOCKERS! Jorgenson Companies is a fast-moving, multi-divisional industrial solutions company that is progressing towards a vibrant future as a leader in marketing, selling & servicing industrial products. 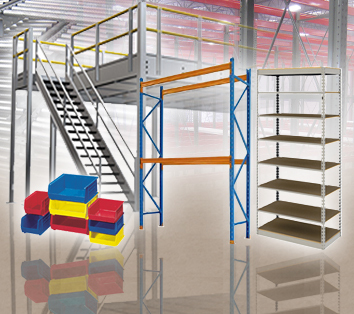 We are your source for lockers, shelving, racking, material handling products and more. Our company continues to see a strong local presence that has flourished to a national and even global level. We have distribution centers nationwide and a growing partnership with major manufacturers to give you an endless variety of products and services to meet the challenges of today’s everyday business. We came, we ate, we partied. The Jorgenson Companies Holiday Party was definitely one for the books. 😉 Gettin’ our grub on! Jorgenson Companies is happy to introduce our newest division – Jorgenson Mailboxes! We are proud to offer a large selection of high quality mailboxes at the lowest prices around.